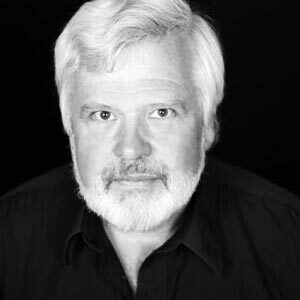 Michael Fields has been with Dell’Arte International from the beginning. This conversation is a 30,000 foot view of how an ensemble has grown over more than thirty years of work. From grant funding to growing pains; touring to terminology, Michael and this unique group of actor-creators knows how to sell their generative and inventive work. Michael Fields. Photo courtesy of From The Ground Up podcast. Jeffrey Moser: From the Ground Up is supported by HowlRound, a free and open platform for theatre makers worldwide. It's available on iTunes, Google Play, and HowlRound.com. 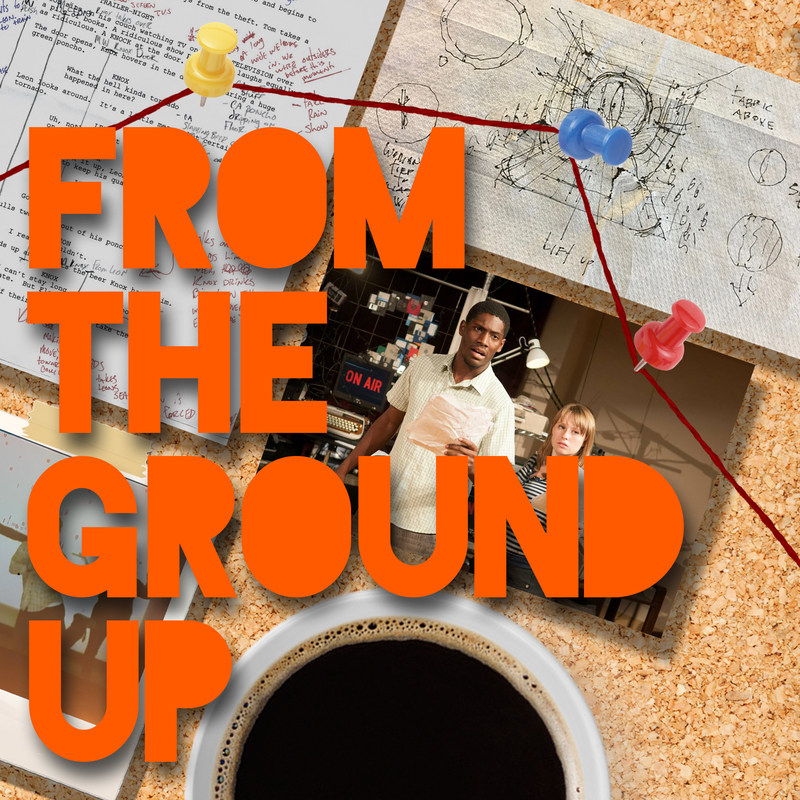 Dear Artists, welcome to the first episode of From the Ground Up. I am so pleased to share with you my conversation with Michael Fields of Dell'Arte International in Blue Lake, California. I had the pleasure of training there a few years ago, and it was by far one of the most formative experiences I have ever had. It sort of crystallized a lot of my other physical theatre trainings, but in addition to that, I also got to meet some of the best people from across the country who were training there with me and who were leading the classes. That's one of the great things about these training programs, the people you see there, the relationships you build. People are there because they know that there's more to explore. They're open to ideas. They're excited to be there. I made some friendships there in Blue Lake that I am so happy to have with me throughout my life. Some really great things stuck out to me in this conversation with Michael. One of which was the idea of rural training. And now that I think about it, I did one other rural training, but so much of it makes sense now. That from the physical act of living and working in an outdoor rural environment, you learn how the body works. Michael also talked about the lifecycle of a theatre company and just how Dell'Arte International has weathered it to continue to today. And finally, this unique company in that they are rural and international at the same time. Think about that. Michael gets into the history of the company, but a couple of things that you're going to hear in this podcast that we don't really explain, the name Carlo Mazzone-Clementi and Jane Hill were founders of the theatre in 1971. Joan Schirle is the founding artistic director as well. Michael and I spoke on 14 March 2018 and I hope you enjoy. Jeffrey: Hello, Michael. Thank you so much for taking the time to chat today. I thought we'd start by just talking about yourself and how you got to Blue Lake and to Dell'Arte just so we get some context. Michael: Sure. I sometimes tell this story to students. When I was eighteen, I was drafted to go to Vietnam; I was the last group drafted. They pulled your birthday as a lottery, so you'd get like…mine was number five, so there was no…I was reclassified 1A, and a friend of mine, a very cute woman I knew, said "why don't we see this theatre piece?" And I had no interest in theatre at all. I was a state middle linebacker for Seattle Prep. I was a football player. I was no[t] interest[ed]…But the piece we ended up seeing was a San Francisco Mine Troupe's Dragon Lady's Revenge, which seemed to be…It was outside. I grew up in Seattle, The University of Washington…Seemed to be all about me as a person, right? So I went up afterwards and said…I asked if I could join their company, and of course they said no because why would this happen? But they sent me to…they did this Gorilla theatre Company in Seattle, and I was worried I'd actually have to dress up like a Gorilla. I had to sit in front of a Methodist Church on a Sunday morning with a sign that said, "Stop the war." I waited for everybody to go in. I got my sign, sat in front of the church. People came out and kicked the crap out of me. And that was the epiphany, honestly, that started, you know. Then I went to San Francisco to go to college. I did get involved a little bit with the Mime Troupe, not as an actor, and working with a lot of those people over the years at Dell'Arte. Dell'Arte started as a summer…well, it started in Berkeley, but it started as a summer stock up here in Humboldt, and I was hired for that as an actor—classic summer stock. A little bit more adventuresome material, more commedia based, but the classic kind of structure. And out of that, there was an NEA grant that was to do a piece about nuclear power and had San Francisco Mime…Joan Holden was one of the writers, Steve Most from the Mime Troupe, Jael Weisman, who directed that piece. That was in 1977, and that was the beginning of the original Dell'Arte Company, which was Joan Schirle, me, two years later, Donald Forest. And the three of us were…and Jael Weisman. Jael directed I think a decade worth of plays with us, and we wrote collaboratively together and were in that mix. The three of us bring very disparate…not disparate backgrounds. Joan and I both went to Jesuit schools. I went to USF. Joan went to Santa Clara. She went to the New York group. I stayed in San Francisco. Sam Shepard, I did a year at ACT in directing. So you have all these different…and Donald's mother was a circus acrobat, stretched him as a child, and so he could drop into the splits at like fifty, probably not in a healthy way, but he could do it. So we each brought a different skillset, very different. Donald was with the Mime Troupe, very different perspectives, and that became the genesis of the…what I'll call the "original ensemble," which lasted for I would say twenty years in terms of the work that was created. And it was all devised work that we created and toured everywhere in those years. That's how I got to Blue Lake. I mean I didn't move here for two years, I still lived and worked in…we didn't have enough work for two years to be living here full time. I don't know if you remember CETA. It's the Comprehensive Employment Training Act. Michael: And it was a government program that basically funded us for two years, funded our salaries for two years. And that enabled us to have the freedom of not worrying about paycheck to paycheck to be able to create work and to be able to really be here in Blue Lake and move here. Donald and I in particular were not living in Blue Lake until that happened. Jeffrey: So can you talk a little bit more? So from that, when did the idea for the school begin? Did it grow out of those twenty years? Michael: The school came before. Jeffrey: The school came before, okay. Michael: The school came first. So Carlo Mazzone-Clementi who founded Dell'Arte along with his wife, Jane Hill. Jane was hugely instrumental in this. Carlo started school in Berkeley in 1971. His kind of vision was based in capot, which was to have a rural training center and company, then the company toured out internationally, really, in that way. But that there are lessons to be learned from a rural environment was essential to the training of an actor, the physical actor. So that's eventually what he did. The building in Blue Lake where you have been, the old building was bought in 1974 for like $25,000, and that became where Dell'Arte was centered from '74 till now has been the genesis of it. But the school came before, and I can tell you quite honestly that over the years it has provided a huge asset in terms of the development of young actors. I mean we have young actors who move into the ensemble, in and out of the group, and also has provided a source of great conflict in that it…if your faculty is also your actors, you have a problem. Because you're going to go out on tour, and who's left? You know what I mean? You don't have that…Dell'Arte's evolved beyond that now, but for many years that was an issue. And Carlo always felt that, I think especially in the early years, ensemble, to use that word, was not something he really understood in the same way that we now use the word "ensemble." And by that I meant that he was from the patriarch school of la caque, of folles, of satori, of that generation of people who came out of that commedia and physical performance resurgence out of World War II. That was his deal. So when we formed a collective in 1977 before ensemble, that just did not sit with him at all, and he left. That was a big blow up. And came back, but he left. Jeffrey: Can you talk a little bit about that sort of evolution of the world "ensemble" there? So like what did ensemble perhaps mean to him, and do you carry over those ideas of ensemble from what he had to now in any way? Michael: For me, the thing about ensemble, there was a sense of physical play in the creation of work that was very interesting…I mean that's one level of ensemble, right? We work with actors over time with attention to craft. Same actors over time, and there's a great attention to craft and how we…the physical world, there was…even though I was an athlete when I was young, it was a learning curve for me, a lot of the physical work was. So there's a sense of being united as an ensemble on a physical understanding level. And then I think there is the agency, the ownership, the creative…that we created our own work, but also determined our own destiny for a great period of time as a group. And that was very new to me and very foreign to Carlo, right? In that sense is that you all of a sudden have all these people who have an equal stake, but also have an equal say, and that became I think…it just wasn't his world view, so that's where the divergence happened for us and him. Jeffrey: So for my own clarity, did he feel as though that there was like a more of a hierarchical structure of some sort? Michael: I think he wished there was. He thought that's the way probably it should be. And he unfortunately brought together a group of more radically minded people…and it was an era. The late seventies was an era where many, many kind of ensemble or collective companies were both starting and thriving in that particular time. Jeffrey: So was it his idea to sort of lean into the world of the actor-creator though? Or is actor-creator, that sort of phrase or that title, is that something that Carlo put on, or is that something that sort of evolved out of the ensemble itself? Michael: It evolved out of it. I mean I think he would have probably talked about that as…but in very different terms. I don't even know what they would be. But his…I mean, he had a great respect for the physical actor, but it's a different…the actor-creator is something that evolved out of this and became something, in terms of the pedagogy of the training as it exists now, has come much to the floor: how actors create, how they bring their own work forward, how that manifests itself. Yes, there's still physical skill training, but there's much more on the side of also, "what's your voice? How does this come forward?" Jeffrey: And just so everyone in the world knows, Dell'Arte International is the center for theatre training research and performance of actor-creator…and so actor-creator, can you go a little bit more into that title? If someone goes to school there, what does the role of actor-creator mean to the ensemble and mean to a room full of theatremakers? Michael: For me, it has to do with how I'd become what I'll call a "generative artist." And this is in no way saying that other kinds of creation is not valid, and strong, and interesting, and good. It’s just that this is…it's if I generate work and I generate work with other people peers in that way, how does that manifest? What are the tools that allow that to happen in its best way? How do I…for example, in the training in the school, every Friday is a performance lab for the first year students. And it should be a lab. It should ask a question. That question gets put to the students. And it isn't about right or wrong, or good or bad, it's how deep, and how much you investigate, and what's the level of play in ensemble within that? For example, now we're into melodrama in the first year. Melodrama, they're in groups of four to five, and they have to come up with a seven to ten minute piece that is in the melodrama world with physical characterization, with an intention, with a rising up moment, with a crescendo. So they have a framework for all of that, but it's training that aspect of the actor to be able to continually generate work. Out of Dell'Arte have come many, many companies, right? That are all over the world who also kind of continue in that tradition of generating their own work. I mean I go to Denmark every couple, two or three years, to work with a company of our alumni, and they're twenty-five years old now. They generate work. They bring in a director or they'll bring in a composer, but they're the ones who write, develop, create, design. That's what they do. And we're also, in the school, also trying to give the students the tools to, "how do you raise money? How do you get your project up and heard? Where do you put it out? How do you put it out into the world? How do you talk about it in a way that is compelling to other people?" And I think that to me is the actor-creator. It's beyond just being an actor and creating work. It's putting it into the world. It's how do you do that. And how you find those partners because you can't do this work alone. How you find those essential partners in the work. And sometimes it's another actor. Sometimes it's a designer, or a musician, or something like that. So yeah. Jeffrey: Yeah. Out of these actor-creator groups, you mentioned that there is an outside eye of some sort. So often you get wrapped up in the making of something that you don't always see what you're making, so you need to have someone stand outside of the oil painting that you've just made. How do you find the right person to sort of, say, look at it with the same sort of aesthetic eye, or with the filter that maybe you want to be received in? Does that make sense? Michael: Absolutely. And I think it's…Well, it's subjective, but it also has to do again with the same fundamental things of ensemble. It's that attention to people over time. Because I think if you're into this as a one-off, it isn't as…You know, what that attention to craft. So when I work with Linda and Stephan in Denmark in their group, I know when to get out of the way. You know what I mean? But that's ten years or more of working with them. So you start to evolve a way…and at the same time as a director, when to step in and say, "honestly guys, this isn't working and here's why…" what you think why. But I found with us in terms of when we work with like a design collaborator, it has to do with someone who really also understands the process and kind of the way things come together. We had a former student who was Dutch, and they had a company in Holland and they asked me to come and direct, it turned out to like four or five years of stuff, which is great. I loved them. They were all a young ensemble at the time. And one of the pieces that they developed was a piece called, it was based on a playwright named Evgeny Schwartz, it's The Drok. It's a Lancelot story where Lancelot's basically a terrorist. It's based in Stalin where the Dragon takes one virgin a year, and then everything's cool. And Lancelot says even that's unacceptable, and there's the story. And it's a kid's story, family theatre. But they hired a French costume designer, a Swiss maskmaker, me as an American, and a Dutch company. And the maskmaker, we had eight weeks, eight weeks to develop the piece. As the actors developed the characters, these were leather, pulled over…he would sew the features onto the masks. So the process became really organic and beautifully powerful. I mean, it was amazingly powerful because you had the combination of time. All the actors had worked together. They knew each other very well. They trained together, so they had a fundamental training that they had, and then you have this design element that comes in that is organically watching…they don't go away, and send you a drawing, and send it to a shop. They're in the rehearsal process, engaged in it, and then you have a director who is new, but that also adds something into the mix. So I think it's the kind of the same way that casting becomes 80 percent of your show. It's how you cast with the ensemble itself, and that goes beyond actors into…Like Timmy Gray, who's our composer, I've worked with him for more than two decades in Dell'Arte. I mean, all of us have. And so he has an understanding of…And at the same time, we have to push each other so we don't get stuck into kind of habitual modes of either working or creating. So then you bring in a catalyst. You know, we bring in somebody from Lumë, and Brazil, or you bring in somebody from somewhere else, and their job is to shake you, to be the catalyst that moves things off center. And we found that to be really important, not with every project, but certainly as a steady thing, to invite someone in. Jeffrey: That's great. A catalyst to knock things off center, I like that quite a bit. That feels like…just when you feel like you've gotten comfortable, right? And then it's like, "Nope." Can you talk a little bit about the generation of ensemble? I mean it feels like through physical work, by doing physical work, you're making me have all these great connections to farmlands, to the rural nature. You have to have lifting, moving, herding. Things have to happen with your body. It can't just be, like from a computer, I can't hit return, and like all the cows go in the barn. Which, when that happens I'll buy a plane ticket somewhere else. But there's something really great about the physicalness that sort of forces you to need one another in a certain way. It forces you to create ensemble. I wonder if you could talk about that a little bit further, and how you see ensemble sort of generate. Michael: Well, I think there's a couple of entry points. I think Carlo's vision was really, really powerful about the rural nature of the deal. I mean I grew up in more or less a city. I think many people do, but the lessons that…well, not the lessons, the fact of being in nature. When you walk out of Dell'Arte, you aren't walking into New York City where there's a bazillion…I can leave a studio in New York City and there's a thousand things to take my attention and interest. And here, you end up meeting yourself a lot. If you walk outside and you're confronted by the natural world. And you know we do now in our training every Friday, it's called nature day. Your training is out on the beach. It's out on the ocean. It's out in redwoods. And it's not parkour. It's not a…But it is to encounter that, and then bring that, let that inform who you are as an actor, as a creator, as a person, how that works. The other aspect of it is community. And I feel so blessed at this point in my life to have lived, and I'm living in a community of people, some who are not artists, many actually, but who are part of our community, and that relationship is essential. So you can't just live in the theatre, you know? You have to live in the world. So if you're going to live in the world, then you're engaged with things that again, inform the work. So when we create a work, we talk to a lot of people who are not theatre people. But it isn't about like, "oh, I need to take something from you to make this piece of theatre." I'm engaged in those conversations all the time with people. And then the third part, which I think is interesting, and we haven't solved this completely, but it also has to do with…when you talk about generations, I was the baby of our initial ensemble, so Joan is obviously still in the house. Donald comes and will work with us in the summer. He's on disability because he's…you know, doing this work over a long period of time takes a toll on the body. So now there's subsequent generations of people who are coming…Now because we have a school, and in MFA in particular we have three years with people, you can really see the people that you personally or we organizationally really want to continue to work with. So you can bring them in both sometimes as teachers and sometimes…and then as actors and creators within the organization itself. So that's a way to keep sustaining ourselves forward generationally, is to keep that moving. And that moves us, the older generation as well, because there's different ideas. They're not going to be aspiring to exactly the same thing. But the last thing I'll say about what shifts within ensembles. This is interesting to me, and just life cycles. If you look at life cycles, Donald and I both had kids in our mid thirties I would say. Then you stop wanting to tour so much, right? For obvious reasons, both pragmatically, and I didn't want to be away from my kids that much. So that shifted. Then you get that dynamic coming up where those in the ensemble who chose not to do that life…So then there becomes…I mean it's very interesting. We ask our MFA students in, I forget which year, second year maybe, to go investigate another ensemble and write something about it and bring it back. And then they present that to the whole school. About, "I was with this group, and I go and visit them, and I talk to them," and there's some very interesting things about that. But that thing about children amongst ensembles, that's a thematic thing that you see amongst some of the more ongoing ensembles in this country that we've seen. Michael: Yeah. And it's fascinating when you look at life cycles. Because if you were to say to somebody in this community, "what do you know about the Dell'Arte company?" To this day, most of them will say Joan, Donald, and I. That's still the face of that company. As much as we try and put new people on our stages all the time, I mean not all the time, but people who are coming up, they still aren't identified in that way yet, or as the way that they should be. So it's interesting generationally in the history of American theatre right now in terms of there's a massive generation shift, I think, happening in leadership, in all over the landscape here. Jeffrey: Yeah. I agree with that whole-heartedly. You talked about community, which kind of leads me into the idea of in your final year of the MFA program, your students are out in the community. They're visiting, and they're performing…and you mentioned that they're making…they are also creating works specific to the communities that they are going into. That's true? For example, this one is gone now. It's touring all over the United States, but it started as a Dell'Arte community based project about human trafficking, and they worked with a…I'm not going to remember the name of the organization. And they did a piece called Jane Doe based on an Alice in Wonderland kind of format, but it was working with this organization to bring the message forward that in rural areas there's a great deal of human trafficking that goes on, and how do we bring that to your attention? And there was a woman named Elle, who had been trafficked and had gotten out of it, who came with it and talked to community groups. It became a major deal up here, and is now…they've raised more money for it, and it's now…the group took it out of Dell'Arte and is now touring it, and working with Elle and these other groups who do the same thing around the country. So that's an example of a real successful one. There was one with the prison where they did prompts for prisoners to call in to write us, and they did a radio show of their readings, of all the prisoner's words, on the local NPR station. So those kinds of things bring the students into collaboration, engagement with different aspects of the community. Not to impose their will, but to serve the community organization via the work of the theatre or…and sometimes the performance, the epicenter was about battered women. They didn't want a public performance. The performance was for each other. And that was…you honor that too. It doesn't have to be for the whole community. So that's the CBA, Community Based Arts projects, that they do. Yesterday, I'm teaching melodrama with Lauren now, but yesterday we heard the whole school went to the thesis pitches by our MFA3. They can work together, they can work apart, solo, but they have to present a thesis project that will go up at the end of May. And they've been working on these for over a year, right? In terms of development, but now they have to present their ideas in front of the whole school in terms of what the central question of the thesis is, what they're working on, who they're working with, what their sources are. So that was yesterday afternoon. It's fascinating. Some are political. Some are not. Some are grounded in physical performance. Some are, I would say, are going to trend…well, it's all grounded in physical performance to some extent, but in different degrees. Let's put it that way. Those are the kinds of things the students need to do. And in terms of arts engagement, we train. We have classes. I mean they train in that as well so that we're able to pass on that practice. Jeffrey: Do you ever feel that you have any resistance from any community, or has the community embraced the group so much so now that anything goes with those Dell'Arte folks? Michael: Both and, I would say. In the festival, we do an outdoor piece. We did a piece called The State of Jefferson. We decided to do it before Trump was elected, and I wanted to get a family that really spoke that language in juxtaposition…I mean it was a wild plot, I've got to say. It's four groups come to a KOA campground on the Fourth of July, and they all have a permit for the same space. So I've got two guys from India who came to bury their uncle, a guy from Zimbabwe and his Greek wife trying to get pregnant, a band trying to write a perfect protest song, and a family who's been coming to this spot for the last forty years, and it's their spot. Michael: You just see the, you know, the division of territory, who can do what. Michael: So that created…we'll get some flack. Somebody said it was too early to make fun of things like that, and I don't think it's ever too early to make fun of things like that. But you will get…this year, we're doing Ruzzante Comes Back Home From The War, which is a pre-commedia piece, but it's about veterans coming home from a war. It's commedia. It'll be funny, but it also will be challenging on some level. I think sometimes when we present student work, both can have material in them, and it could be offensive to some people. And we do get people who get shook about it sometimes, but most of the time that comes in the form of conversation or a provocation that we talk with them about, or they feel free to write to us, and we talk about, more so than some kind of…people know who we are now and what we do, and so they kind of know what to expect when they come to the plays. Jeffrey: There's a symbiotic relationship now. Everybody is like together. Michael: Yeah. Everybody pretty much knows when you come to see something at Dell'Arte or you come to an event there, what kind of your…what's going to happen. Jeffrey: In terms of the company, how many ensemble members are there standing at any given time? Michael: Well, that's a good question. We've identified, there's probably about seven or eight right now, and that includes me and Lauren and Joan, and then there's probably five other people who work within the organization. Everybody at Dell'Arte wears different, I mean multiple hats, so you're dealing as you would in any kind of that organization. Pratik is out teaching. He's developing a piece with the Wea, a local Native American tribe, with a shadow play, and he's helping write Ruzzante, and will be Ruzzante in the production this summer. I mean if you look at an example of…that's multiple creation hats, but he's a member of the company. Jeffrey: How do you end up coming to the decision? How do you go through the decision making process of "oh, you're going to play Ruzzante coming up," and keep the decision making democracy all contained? Michael: There's layers to this. The center of the organization is something we call "the hub." And that's like an executive committee. It's me. It's Lauren, the school director. It's Zuzka, who's community outreach, community engagement. It's Janessa, who is an associate, She's director of admissions for the school. Zuzka and Janessa are both actors, right? They're both actor-creators in their way and in the company. And then you have Fran, who's our CEO, executive director, not an actor. Not a performer at all. That group, if I want to bring a play that I'm interested in, or Lauren wants to do a piece, or Zuzka has an idea, or Janessa, you bring it to that group. And that group decides, "OK. We're going to do this play." For example, we're writing a grant for Lauren to write and direct a play for the company next year. Then we say to Lauren, "Well, Lauren, as the lead artist on this project, you can determine who it is you want to work with." And we set a budget for it, so the parameters are there, but that lead artist can pretty much do that work. Well, I'm doing Ruzzante, so I would say, "OK. I'd like to work with Pratik, and Lucius, and James, and put this together in this way." I propose a budget for it. And hub says, "OK." They don't sign off on every actor, but I usually run them by actors anyway, just because it's…they have good thoughts and good ideas. So that's how. But that body is the formal approval for how projects get done. Jeffrey: And then even in the rehearsal process, are you still sort of all taking on roles and sort of directing from within? How are you deciding actions that happen on stage, etc? Michael: For Ruzzante right now, we're in the scenario development process. And like to night at five o'clock Pratik and I, and James, and Lucius, who's directing somewhere else, he'll be in a class, in a cell phone on FaceTime, and Alyssa, who's in it, and Lynnie, who's the scenographer, and Jeff Kelly, who's a musician, we all go to the Alibi, which is a bar in Arcata. We do it every week, and at five o'clock, we'll look at the scenario, and we'll talk, and we'll see what generates out of that. And then that usually…there's a provocation, there's a big exchange of thoughts via email, and links, and clips, and written stuff, and eventually that will land in a script to start with, especially for this piece. There will be sections that will say, "marching movement here," which will be developed by the actors in the rehearsal. Jeffrey: You mentioned grants. I'd like to sort of dip into the shallow end of that pool. Maybe this is…It's always deeper to talk about money, but how does earned versus contributed revenue work? How much of your process is covered by grants, or how do you find the funding for these sorts of events that you want to make? Michael: Well, that's a good…over the years, we've been lucky and good about seeking out funding I think. Dell'Arte's got a 1.2 million dollar budget, I would say 70 percent of it is earned because the school is the primary earned income driver, but and then you have box office. Obviously the festival does decent box office. And the grants, because we're in a rural area, there's an upside and a downside to that. One is that there's no foundations here. There's one community foundation in Humboldt County, so you might as well forget foundation funding in here, locally. Nationally, we have done very well. Right now, we have the James Irvine Foundation, which historically has funded us. I think our grant this year is like $220,000 from a single foundation. Now if that goes away, which it will soon. They're sunsetting their program. That will be a gap to make up. But it's finding…Like we started the festival with the Lila Wallace Foundation support when they were all interested in audience development. So we had three years of solid grant support to be able to…really, the festival was started, but it was tiny. We didn't have the capacity to do the things you need to do like advertising, and bringing in…making it a festival, more density to the programming and all of that. So we were able to, over the years, develop things with substantial grant funding. And because we have multiple…because we're rural and international at the same time, we can be in a lot of different arenas. But we have to look for national funding because there's no local funding and no real regional funding in terms of that. So we get California Arts Council support. We hit or miss with the NEA, but we've had, usually over the years, National Endowment support. But it's an ongoing thing. I mean we have a grant calendar that's huge. And we write a lot of proposals out of here, both for creative projects and for capacity building kinds of projects. So both and. Jeffrey: Yeah. When did you bring on your first full-time administrator? Michael: Well, back in the nineties, I'd say we were already working on…we had a triumvirate of a managing director of the company, an administrative director, and a school director. The managing director, I was for a period. Joan was that before me, and then I was, and that was just…and I ended up writing a ton of grants, and I still do for our organization. We don't have a full time development director. We spread it around between us, so there isn't a full time development director. There is a marketing director at Dell'Arte, but it's something that we found that we could, at least for now, split out amongst people and manage pretty effectively. Jeffrey: And what does touring do for the company? I understand that touring is one of those sort of double-edged swords. The challenge for any ensemble to sort of do a tour is to find the funding to go, and then to be there and make…I know sometimes touring can be a great revenue boost in some sense. Can you speak to that a little bit? Michael: For touring, we've decreased our touring in the last five years because of, just pragmatically, we don't have the people to do it. Now we're starting to look at it on the opposite direction, in that we have a lot of actors in the company who are very interested in touring and want to put work out into these arenas. I think touring for us is less of a revenue generation than of a profile generation. If people see the work, then it comes back to us in other ways, both for students, a lot of prospective students, if they see the work of the company, they're more likely to want to come and train with us. Or I think in terms of funders all over the place, part of the profile of the company is contingent upon being seen, your work being seen. And not many people come to Blue Lake to see what…I mean from outside the region, yet. That becomes a big part of it for us. But right now we have the next project. Next year, we are designing specifically to tour, and we're starting to investigate the possibilities of where that could go right now. We used to have a pretty cool circuit where we would create a play here in Blue Lake. We would tour it on what was a very rural circuit. Now it's our holiday—we do a holiday show every year, and that tours to about 7,000 people for free in these little communities, right? That used to be the original company circuit. We would take pieces out. We'd play them for these rural communities. We built great relationships with these places. And that would tell us what we had. Then we'd drag it back in, and rehearse it, change it, mess with it, and then take it into a city where you're going to face critical response. We go to San Francisco, LA, San Diego, Portland, Seattle, that west coast thing, and then you'd head out internationally. Once that was done, then you could go to international festivals. We were doing really well in South America for a period of years. There's a huge festival circuit down there. It was amazing, one, to discover it, two, to play it. Someone actually called me and said "would you like to bring your piece to Barcelona." This was a while ago. And I said, "Absolutely." And it turned out to be Barcelona, Venezuela, not Barcelona, Spain. I should have asked which. You know, not thinking there more than…But it was an amazing festival. It was called The Festival of the Five Continents. It was companies from all over the world. It doesn't exist now, but it was an amazing, amazing thing. Jeffrey: What is ensemble to you? Michael: It's the people I will stand with in everything. Right? I will stand with you in life. I will stand with you in the creation of work. I'll stand with you when it gets really difficult. I'll stand with you when I completely am arguing with you. But that sense of going through it together and that level of commitment and engagement to the work, that to me is what ensemble means. And it can look aesthetically, I would say in our original ensemble, we didn't bring the same aesthetic. We didn't have the same thing, but we learned really. We used to call it "gang theatre" in the early days because you would…basically, you were in it together, and you could…we had violent disagreements over things, and certainly both aesthetically, personally…but you stand with these people and over time. Michael: And you keep pushing the craft. You keep pushing forward. You don't let yourself get stuck in a groove like that. Jeffrey: Thank you for that. I'd like to try something called a lightning round. I'd like you to give me quick answers to the following questions if you can. Jeffrey: Your favorite mode of transportation. Jeffrey: Your favorite flavor of ice cream. Jeffrey: Oh yeah. And what would you be doing if you weren't doing this? Michael: I would still be engaged in running something with people, engaged with people in doing something like changing something. Jeffrey: What is the opposite of what Dell'Arte does? Michael: I would call it "death theatre." It's the kind of vacuous, no intention crap that you don't run into very often, but when you do, you know it. Jeffrey: Great. That does it for me. Thank you. Jeffrey: Thank so much for your time today. Michael: Thank you so much, Jeff. And I wish you the best with all of this. Jeffrey: Yeah, we'll talk to you again soon hopefully. Michael: Sounds great. All right, take care. That's it for now. A big thank you goes out to Lauren Wilson for so, so much. Join us next time when our guest will be Coya Paz of Free Street Theatre in Chicago, Illinois. Until next time, this has been Jeffrey Moser, and you've been listening to From the Ground Up. This is really fascinating! I'm excited to see where this podcast goes and what kinds of ensemble structures are explored. My creative partners and I are in the process of opening a multi-use venue that would be used by many companies and individual artists so we are exploring various leaderships structures, including co-ops and ensembles of non-actors. It's really useful to hear how other groups survive, thrive, and share responsibility. Thus, I will eagerly await more episodes!